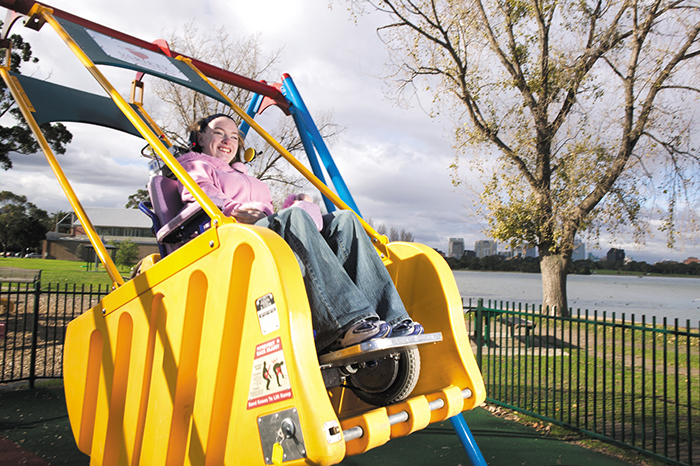 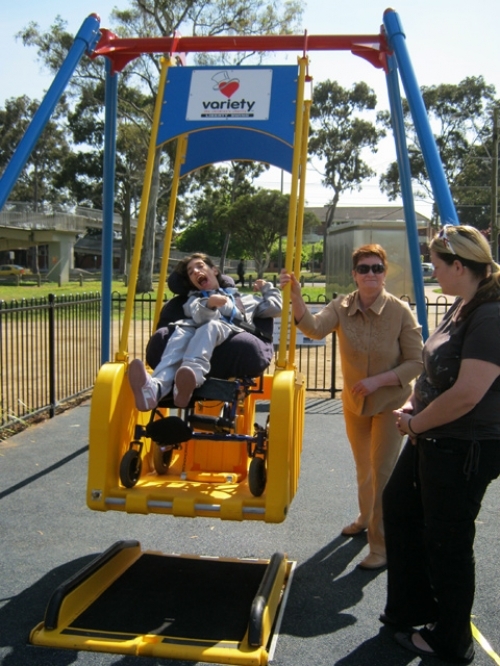 The world's safest and most recognised swing for children and adults in wheelchairs. 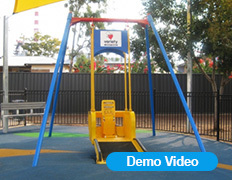 Swing measurements: 4.0 m (13.12 ft) long x 3.2 m (10.5 ft) wide; on/odevice measures 1.2 m (3.9 ft). 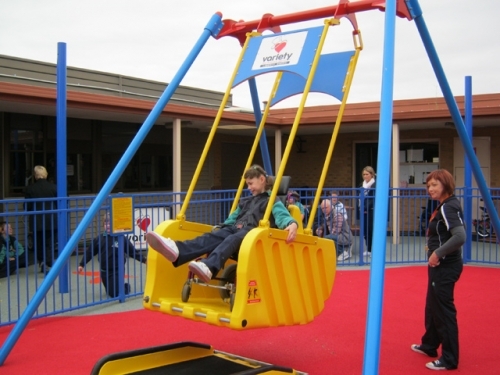 The Liberty Swing is 3.1 m (10.1 ft) at its highest point. 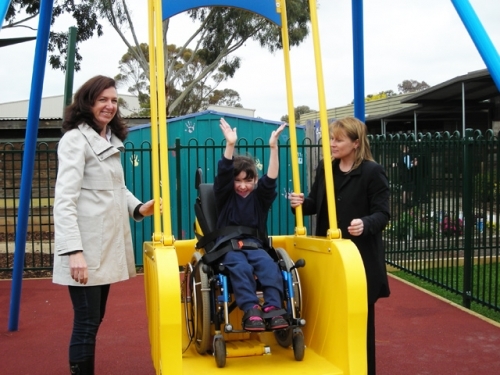 Delivery: Most deliveries are despatched from Australia within 6 weeks from date of order. 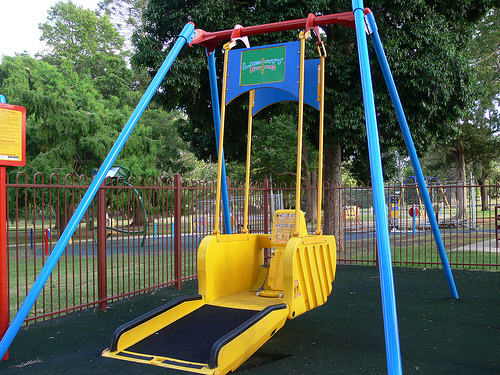 The Liberty Swing is packaged for delivery weighing approx 360 kg (793.6 lb) net; with packaging, 380 kg (837.7 lb).